Today is the day we celebrate the birth and life’s work of renowned biologist Charles Darwin, who would have been 207 today (February 12, 2016). Darwin is most famous for his theory of evolution through natural selection, which revolutionized the field of biology by providing a viable mechanism to account for the evolution of biodiversity on Earth. 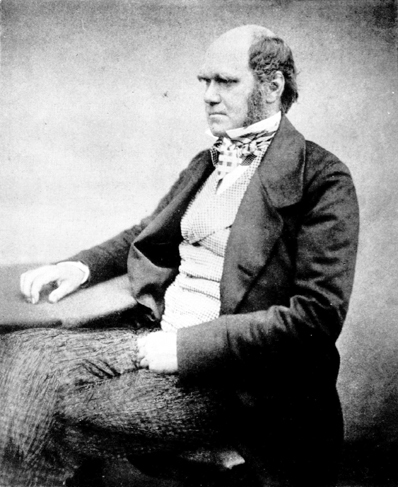 When Darwin first published On the Origin of Species in 1859, he lamented the poor quality of the fossil record, which he felt should contain more evidence of evolutionary transitions through time. Little did Darwin know that continued probing of the fossil record would eventually yield such examples in plenitude. Let’s take a look at some of those examples here. One of the best transitional series in the fossil record is that of whales. These animals began as superficially dog-like creatures that walked on land some 49 million years ago. Over time, these animals grew larger, their nostrils migrated backwards onto the forehead, their forelimbs turned to flippers, and their hind limbs virtually disappeared as they adapted to life in the water. 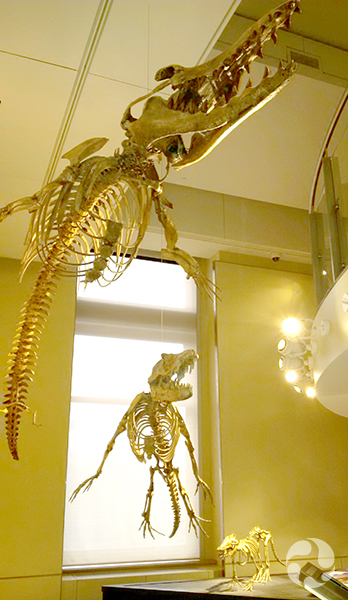 This fantastic succession is well documented in the fossil gallery at the Canadian Museum of Nature. A second well-attested transition is the evolution of tetrapods (four-legged animals) from fishes. As best as we can determine, this process took place between 390 and 360 million years ago. It is during this time interval that we see the evolution of fish-like forms with tetrapod-like limb bones, weight-bearing joints, necks, pelvic girdles fused to the backbone and loss of gills. One such transitional form is Tiktaalik from Nunavut, housed at the Canadian Museum of Nature on behalf of the territory. Lastly, being the dino-phile that I am, I’d be remiss if I didn’t include an example from the dinosaur fossil record. Behold: the Ceratopsia, or horned dinosaurs, a lineage that began as small, hornless bipeds some 160 million years ago and evolved to include massive, horn-faced quadrupeds by the time of Triceratops some 66 million years ago. If only Darwin were alive today: wouldn’t he feel vindicated?! This entry was posted in Animals, Collections, Fossils, History and tagged Charles Darwin, Evolution, Jordan Mallon. Bookmark the permalink.